Beeing member of Hostelling International brings you more than a confy bed! It takes you in a huge international family where you can share your experiences, make travel tours and get friends all over the world! By purchasing your membership card you will receive at least 10% discount to non-members worldwide and you´ll receive our member magazine "Querfeldein" (in German). Furthermore, you get numerous discounts on leisure activities in Austria and around the world. Click here for the benefits in Austria! To become a member is quite simple: Go directly to our online order form or come to one of our offices! The current Youth Hostel membership card is valid worldwide until 31.12. of the current calendar year and can be requested at any time within this period! From the period October-November you can already apply for the new Youth Hostel membership card for the following year - and the Youth Hostel membership card is of course immediately valid. Countless deals on travel, entertainment, museums, culture, shopping and much more! The youth hostel card will be an ideal travel companion for your interRail-trip! Take the key and get in touch with new friends and cultures! **) The group leader card is valid for the entire group (from 10 persons) and will be issued for the group leader and/or his organization. ***) You are member of one of our Member organizations? By quoting your membership number (e.g. ARBÖ membership no. 123456) you get a discount of 50 % for your membership fee! The Austrian Youth Hostel Association is holding the right to review the membership. Also for late-comers: When ordering online, the Youth Hostel membership card is usually sent on the same working day. (on the weekend at the latest on Monday) and he should arrive on the next working day. Old-fashioned, but proven, when it has to go fast: The Youth Hostel membership card will be sent with a payment slip and can be separated after payment and used immediately. For online banking or payment via payment slip scanner, it is recommended to take a payment confirmation with you. The youth hostel card for the current membership year is valid at the beginning of October 2018 until 31th December 2019 and can be applied anytime. Becoming a member is easy: Click here to go directly to our online order form or simply come by one of our offices. The group membership card is the key to worldwide use of Youth Hostels. A prerequisite for accommodation in youth hostels is a membership of an Austrian Youth Hostel Association. There is also the possibility of a group membership for schools, clubs, associations, institutions and companies to avoid that every participant has to be a member for the next group stay. You can also request a personal membership in the form of a group leader membership card. That is, the badge is issued to a person labeled "Group." 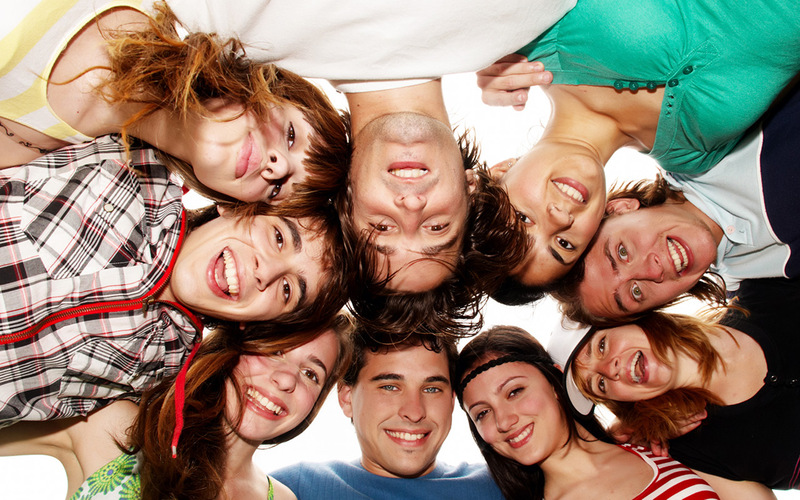 The group card gives you the opportunity to visit more than 4,000 youth hostels worldwide. It will be recognized as a group if at least 10 people - including the group leader - travel together. There is no maximum group size and age limit. The leader should be at least 18 years old. The group membership card is valid only for group stays, unless of course you have a personal card - you can also use it privately. The card costs only EUR 25.00 per calendar year. The Austrian Youth Hostel Association offers its members, who have paid the membership fee, a collective accident insurance as part of its service. Since 2002 our members have been insured by our partner and co-sponsor "Vienna Insurance Group", one of the largest Austrian insurance companies. Coverage begins with the following day at zero hour after the payment of the membership fee and is valid for the duration of the membership term (maximum 14 months) and will be extended by paying the membership fee for the next period. The payment serves as a proof of that insurance. Where does the insurance cover? The cover is valid for trips around the world and around the Clock. Excludes accidents remain at a professional or paid employment. An accident is independent of the will of the insured event, acting from outside mechanical or chemical on the body and causes a physical injury. In case of an accident abroad, which causes a continuous hospital stay of more than 10 days, the travel expenses of the spouse/partner or parents to the injured member will be paid up to an amount of € 1.000,00. In the event of death the repatriation will be paid up to € 1.000,00. After an accident, please contact our central service department (Dept. L/23) and descripe how the accident happened or contact the Head Office of the Austrian Youth Hostel Association, who connects you with the Vienna Insurance Group. Agreement are the general conditions for accident insurance AUVB 1995 and the specific conditions under which collective accident insurance 1995. Unfortunately accidents occurring again and again - so the Austrian Youth Hostel Assocation has decided to provide this minimum insurance in cooperation with the Vienna Insurance Group. Of course, we also send you by requirement insurance policies for foreign travel health insurance and baggage insurance. From booking the trip to safe return. With the Vienna Insurance Group Travel Insurance complete protection you are on the safe side and can confidently only enjoy the beautiful aspects of travel. The International Student Identity Card - ISIC - is the only proof of your student status, recognized worldwide for over 35 years! With the International Student Identity Card you get discounts in over 120 countries around the globe. Over 40 million students have used it ever since. The ID Card is issued by the ISIC Association, a global association of study travel organizations. The ISIC card has been recognized by the UNESCO as a document for international understanding and student mobility. The ISIC card costs € 15,00 and is valid for period of 12 months, beginning with the date of issue. 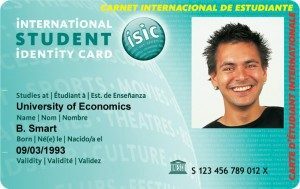 The ISIC card can be purchased in our Head office - please bring a valid national student or scholar card(!) and a photo. NEW: We also offer the ITIC – International Teacher Identity Card for teachers! Information for scholars: For purchasing an ISIC card, you also have to show your original passport!